Whether your needs are residential, domestic, industrial or commercial, BinCare Australia will provide you with a Wheelie Bin and Industrial Bin Cleaning service, second to none. That’s our promise! 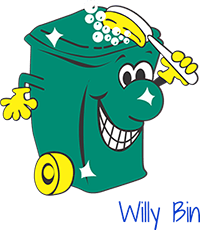 Think Bin Cleaning – Think BinCare! 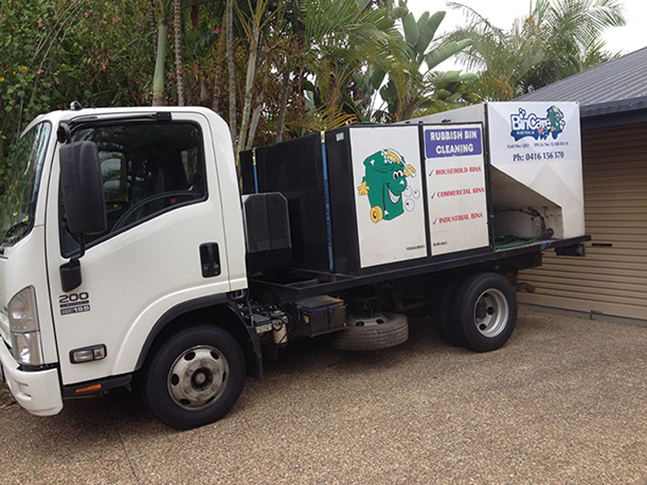 BinCare Australia has been happily providing Bin Cleaning Services for South East Queensland for over 21 years… that’s experience you can rely on. You can rest assured that as your bin is washed and carefully sanitised, there is no risk of bin to bin contamination. BinCare only use clean fresh water and do not re-use or recycle the dirty water. This means there is no risk to your family or staff’s health. However we don’t waste water, our system remains tuned to Level 6 water restriction regulations. BinCare uses a powerful germicidal deodorizer so your Wheelie Bin will smell as fresh as a daisy! BinCare de-bugs your bin. Say “Good Bye!” to flies, spiders, cockroaches and other bin nasties. There’ll be nothing lurking under the lid waiting for you next time you take out the rubbish. The qualified Hygienic Professionals at BinCare use their specialised equipment, their own water and cleaners to save you time and effort. You don’t even need to turn on your tap. At BinCare we bring our own water, and with the use of specialised equipment tuned for water volume reduction, not even a drop goes to waste. That’s because BinCare is not only dedicated to providing you with a great service, we are also dedicated to protecting our environment.